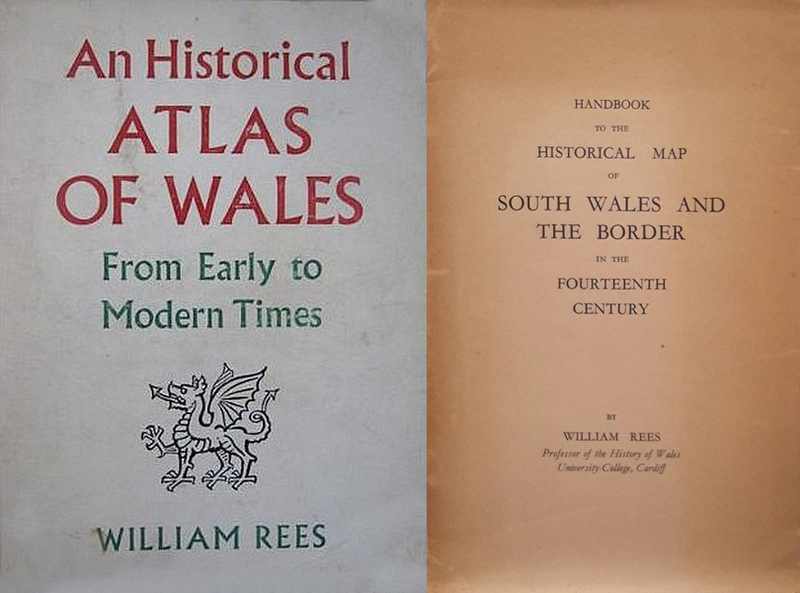 Sadly we do not have an obituary of him but Professor William Rees was a long serving member of the society having joined in 1930 and remaining a member for much of the rest of his long life, and therefore we do have a number of references to his activities within the society. Even in that first year of membership he presented a paper on "The Lordship Of Cardiff" which is presented in volume LXIII of the Transactions . The following year he represented the Society at the Anglo-American Historical Congress held in July, 1931, in London, and in due course "reported fully thereon". That same year he is recorded as being President of the Archaeological Section of the society and presented his Presidential Address - A View of the Cardiff District Five Hundred Years Ago. The Biennial Conversazione was held at the National Museum of Wales on 15th December, 1949, when 21 members and friends were received by the President (Professor William Rees) and Mrs. Rees, and the Deputy Lord Mayor (Councillor W. H. J. Muston) and Mrs. Muston. A week-end visit to Tenby and surrounding district was made by 33 members on the 5th to 7th May, 1950, the headquarters being the Royal Gate House Hotel. Professor William Rees was the leader, assisted by Mr. H. O. Leach, curator of the Tenby Museum. Sir Frederick and Lady Rees accompanied the party on some of the excursions, and were entertained to dinner as guests of the Society. Spring Meeting. On the 24th May, 1950, the President, Professor William Rees, conducted a party of 174 members around Cardiff Castle, and those present were privileged (under Professor Rees's leadership) to visit parts of the castle not normally available to the public. Mr. J. M. Cleary, the Hon. Secretary of the Junior Section, escorted some of the members over certain of the rooms in the residential part of the castle. Summer Meeting. On the Ladies' Day Meeting, 17th June, 1950, 82 members visited Llanthony Abbey and Priory Church, Abergavenny. The President, Professor William Rees, was the leader, and his descriptive comments on the abbey and church effigies largely contributed to the success of the meeting.